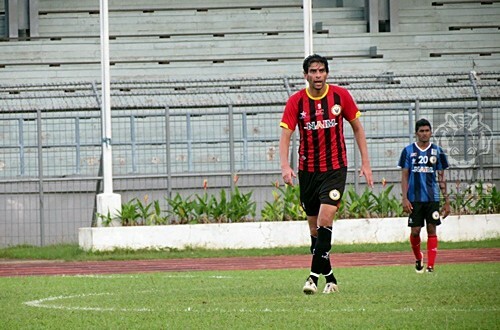 Sarawak sign Alireza Abbasfard – Shoot Sampei Bisak Net Tiang Gol Ya! Alireza Abbasfard (Persian: علیرضا عباسفرد‎) (born 20 October 1981 in Tehran) is an Iranian footballer who currently plays for Aluminium in Azadegan League. He previously played for Rah Ahan and Esteghlal. He usually plays in Centre Forward position. Scores and results list Iran’s goal tally first. This entry was posted in Transfer News and tagged Alireza Abbasfard, Esteghlal F.C.. Bookmark the permalink.